Anthony Theau Laurent is a partner at Accuracy. He provides advice and independent expertise on business, valuation and accounting matters in the context of disputes, transactions and frauds. Anthony has been appointed as expert witness in commercial and investment treaty arbitrations and in English High Court proceedings. 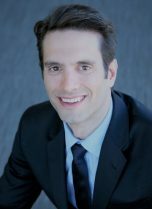 He is listed among the leading expert witnesses for quantum of damages by Who’s Who Legal, according to which he “is frequently appointed on large-scale arbitrations for the strength of his oral testimony in proceedings” and “is praised for his hands-on approach and exceptional ability to identify and address sophisticated financial issues”. He is able to testify in English and French. Anthony also advises organisations seeking to acquire or divest businesses and leads financial investigations in relation to allegations of fraud. He regularly contributes to publications and gives presentations on issues pertaining to valuation, damage assessment, and mergers and acquisitions. Anthony has particular expertise in the assessment of damages arising from, inter alia, breaches of commercial contracts, shareholder agreements, expropriation, construction delays and fraud. His disputes work primarily involves the valuation of lost profits, assets and businesses. Much of Anthony’s work in recent years has been in an international context, involving cross-border disputes, transactions and investigations in the United Kingdom, Europe, the Middle-East, Africa, North America and Asia. These assignments covered a wide range of sectors including energy, utilities, mining, construction, civil engineering, manufacturing, distribution, media, retail and software. Expropriations, market evictions or unlawful terminations of commercial agreements in relation to, for example, mining concessions and assets in Central Asia (ICSID, UNCITRAL), service agreements in the Middle East (BCDR-AAA) and Europe (ICSID), and land usage rights in Africa (ICC Paris). Breaches of commercial agreements, including the distribution of consumer goods in the Middle East (DIFC-LCIA) and the distribution of broadcast rights in the Middle East (ICC Paris). Breaches of joint-venture agreements, recently in the food and beverage industry (ICC Paris) and the automotive industry (ICC Tokyo). Fraudulent misrepresentations and breaches of warranties consecutive to, for example, the acquisition of a civil engineering company in the Middle East (High Court of England and Wales) and the acquisition of waste management assets in Europe (ICC Milan). Business interruption and construction delays in relation to, amongst others, a property development project in Turkey (ICSID), the delivery of a manufacturing plant in the UK (LCIA) and the relocation of a manufacturing plant (High Court of England and Wales). Allegations of traffic of influence and money laundering against a listed provider of services to public utilities. Allegations of tax fraud against a global retailer. Anthony has extensive experience of assisting organisations to divest or acquire businesses. His expertise ranges from buy-side and vendor due diligence to advice on price adjustments and warranty clauses.